Despite having secured the title in Mexico, Lewis Hamilton admits he has no plans to ‘gift’ a win to teammate Valtteri Bottas in either of the two remaining races, despite the Finn’s vital role as wingman this year. 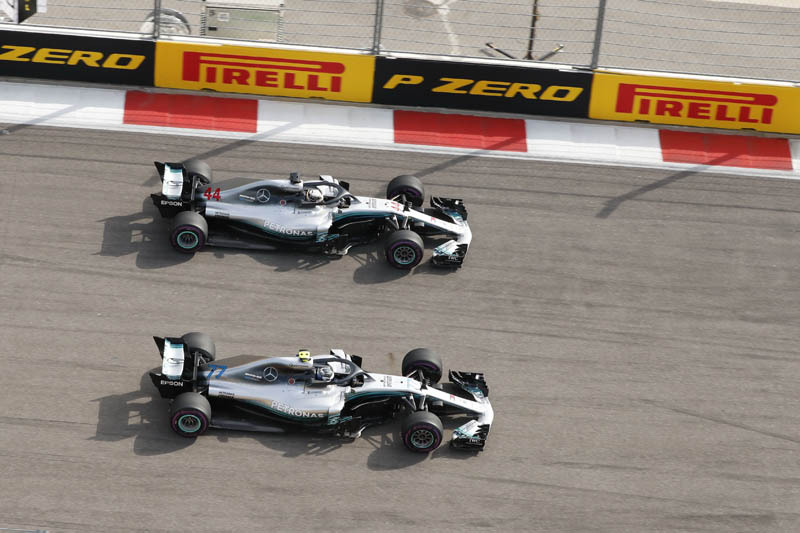 In Russia, while leading, Bottas was called on to move aside for Hamilton, thereby allowing the Briton to consolidate his championship lead over Sebastian Vettel, a move that proved controversial in terms of the Finn and race fans, not to mention team orders being blatantly used just days after the sport agreed a multi-million deal to allow in-race live betting. Asked, ahead of this weekend’s Brazilian Grand Prix if there were plans to ‘return the favour’, Hamilton said: “The team are not going to make that call. “It’s not something I’ve asked Valtteri if he wants,” he added, “but I don’t think he’s going to want that. He’s going to want to win it in his own way. So I don’t think I’ll be doing him any favours in the sense of giving him a win, I don’t think he needs that… I think he thinks he can do it himself. Of course, with the drivers’ title out of the way, the Finn won’t be called on to play wingman and will thereby be free to ‘do his own thing’. “Yes, definitely,” he smiled. “Coming here knowing that there is a possibility to win a race is obviously a good feeling.